The rugged Sonoma Coast provided the perfect background for the stunning Alyssa Jayne during the first day of shooting at the recent TDS Sonoma Coast Photography Workshop. As part of our assignment work, we assembled a gallery of favorite images. Contributions include images by Doug Kaye, Sean Staples, Gary Angelo, Tom Seng, Fred Brundick, Scott Loftesness, and this image by Michael Arbore. John Larsen contributed the action shot of these photographers working. You can see the entire gallery here that contains more than 50 images by these photographers. If you're interested in attending a TDS Photography Workshop, the 2013 Season will be announced in November. You can use the "Send Me Info" form on the Workshops page to get on the reserve list for your favorite event. Most TDS Workshop fill up via the reserve list. Thanks to a great crew of photographers, and to Alyssa. You can contact Alyssa via her Model Mayhem page. Nathalie Rollandin was in San Francisco with a GoPro when a seagull picked it up and flew away... with the camera still recording. Now we get to fly with him during a bay area sunset. Unfortunately the gull flew off before Nathalie could get his name. 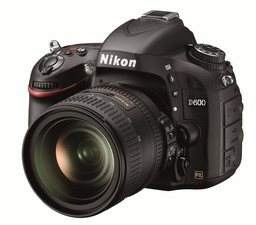 Nikon D600 - Take that Canon! Nikon answers the call for an affordable feature-rich full frame DSLR with the D600 that will sell for $2,100 US body only, or $2,600 with the 24-85mm f/3.5-4.5G ED VR lens. It has many of the specs you'd expect, such as 24 MPs, 5.5 fps, full HD movie capture, 39 point AF system, 921,000 dot LCD, and maximum 25600 ISO. Then it has a nice surprise up its sleeve: an optional Wi-Fi module allowing the D600 to be controlled remotely from an Android or iOS device. There are a couple limitations. Flash sync maxs out at 1/200th and there's no external microphone jack. But if you have been waiting for a full frame Nikon body that won't bust the credit card, you can preorder the D600 today. The just-anounced Sony Cyper-shot DSC RX1 is a Nimble Photographer's dream machine. Sony packed a 24 MP full frame CMOS sensor into a gorgeous body with lots of manual controls, then mounted a Carl Zeiss 35mm f/2 lens on the front. 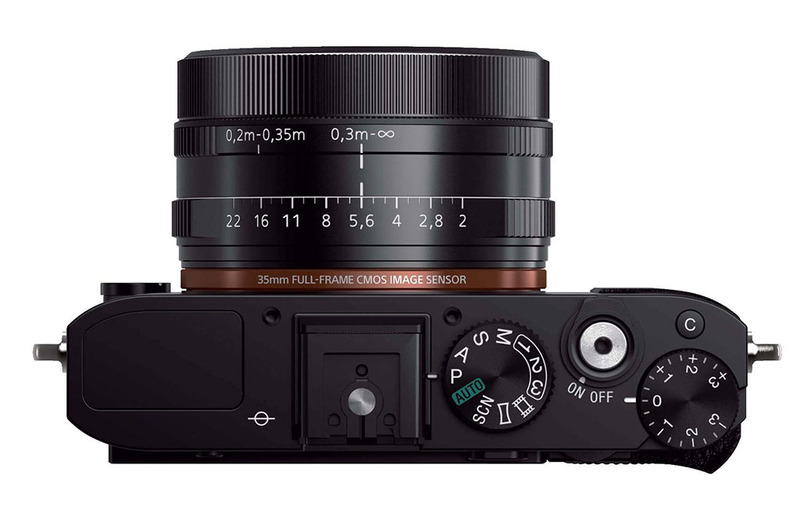 Nice touches include a dedicated aperture ring, five user-customizable buttons, 1.2 million dot LCD, threaded cable release socket in the shutter button, microphone port, full HD movie capture, and multi-functional hot shoe. There are compromises, however. First, if you want a viewfinder, optical or electronic, that's an accessory. Otherwise you're composing images on the LCD. Next, is price. The base kit estimated cost will be $2,800. Add a handful of accessories, such as the optical viewfinder, lens hood, and thumb grip, and your investment will be close to 4 grand. And finally, it's a fixed lens camera. So there's no changing glass. All of that being said, I would make room in my camera bag for the Sony RX1 if it were made available to me. The low light performance and depth of field control would be wonderful in many, many situations. In addition to the fact, that it's most likely a pleasure to use. I'll be sure to get my hands on one in Germany. As we've already seen with the Pentax announcement, there will be lots of photo equipment news over the next few days. This is the time to watch and evaluate if you're considering upgrading. 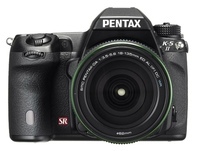 After Photokina is over on September 23, that will be the time to make your buying plans. All of the announcements will have been released, and those of us covering the show will have had a chance to look at the new products in person. 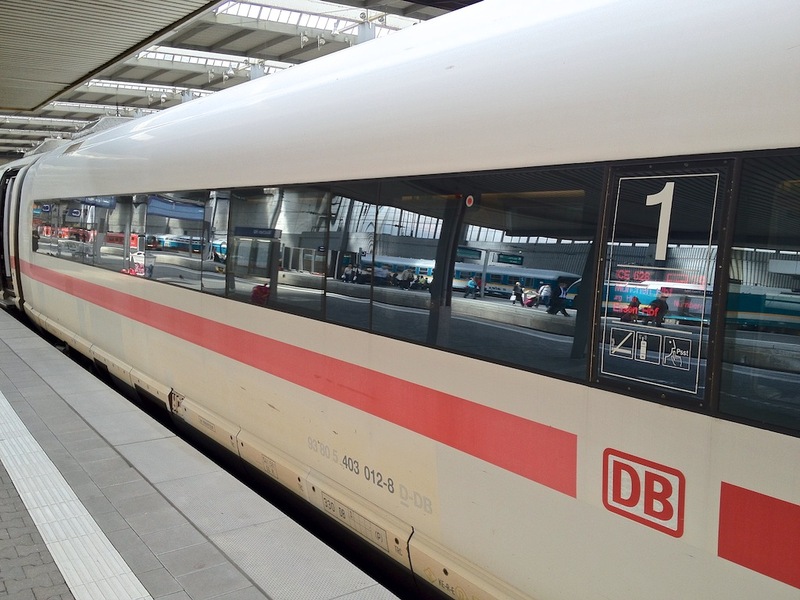 I'm leaving for Germany this weekend, and I'll be covering Photokina from the trade show floor. I plan to post lots of images on Instagram and via Twitter. Of course there will be features and wrap-ups here on The Digital Story. In the meantime, keep your credit card in the wallet, and let's see how things unfold. 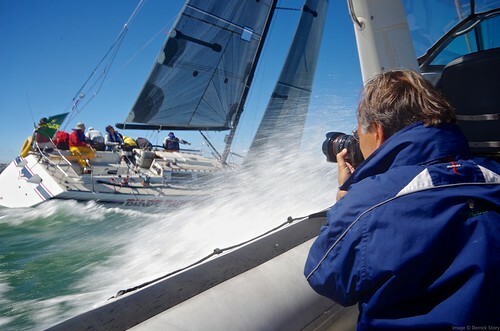 Professional photographer Daniel Forster invited me to accompany him while shooting the Rolex Big Boats Series in San Francisco. I learned much about this type of photography during the day, and thought you might enjoy a behind the sails look. 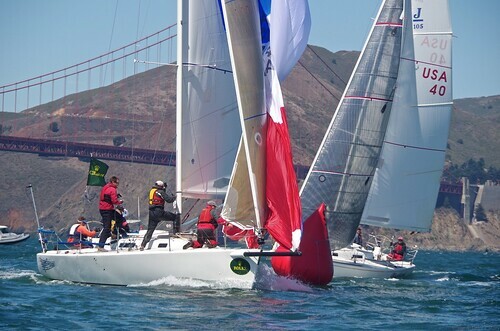 Daniel Forster at work during the Rolex Big Boat Series. We were so close at this point that he had to put down his 70-200mm and go with a wider lens. Daniel Forester works for Rolex, shoots with Canon gear, and uses Lowepro to protect it. He is an experienced sailor as well as a season professional photographer. He knows both the craft of making great images and maneuvering on the sea. His "go to" cameras and lenses are the Canon 5D Mark II and 5D Mark III. The Mark II has his 70-200mm f/2.8 L zoom and the Mark III is mounted with the Canon 400mm f/4. Even though he carries additional lenses, bodies, and accessories, he accomplished the bulk of his shooting with those two rigs. Daniel relies on a Lowepro Pro Runner x450 AW to protect his cameras on the sea and in the airport. Daniel preparing his gear on board our boat just before the race began. I was introduced to the Rolex team, of which Daniel is a member. In order to publish on a daily basis during events, there's another photographer who focuses on image processing, copy writer, and an editor. Together they report on the people and activities of the day, including an inside look at race results. We left the marina on an outboard Protector navigated by a pilot. The interaction during the race between Daniel and Peter Scott (the pilot) was vital to the success of the shoot. Both are seasoned sailors who understand the actions of the racers and know how to approach them without interfering with the event. The interaction between pilot and photographer during the race is crucial to the success of the shoot. Daniel and I returned to the media center at the San Francisco Yacht Club to turn in the memory cards so the rest of the Rolex team could start working with the content. 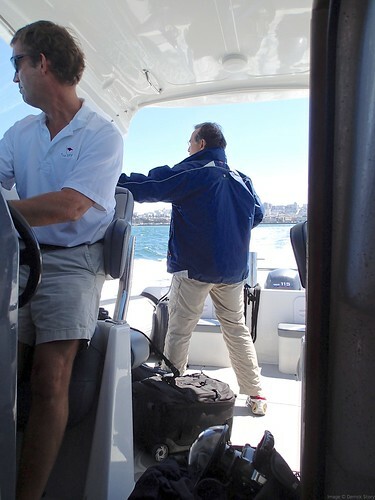 After a cup of tea and a short break, Daniel, Peter, and I headed back to the outboard for a second round of shooting. The outboard is extremely fast and can navigate around the sailing boats. Daniel and the pilot would discuss positioning, then Daniel would shoot, then we'd be off again for another angle. We followed the racers for hours in order to capture a variety of shots of each of the contestants. After all, you had to make sure you had images of the winners at the end of the day. Being in the right position had everything to do with creating an interesting image. I really appreciate Daniel and the entire Rolex team inviting me on this shoot. The Rolex Big Boats Series is a thrilling event. Having the opportunity to work in the middle of it was exhilarating. You can see more of Daniel Forster's work at www.danielforster.com. One post production technique for delighting the viewer's eye is to first convert the image to B&W, then restore bits of color. The element of surprise is often stimulating. 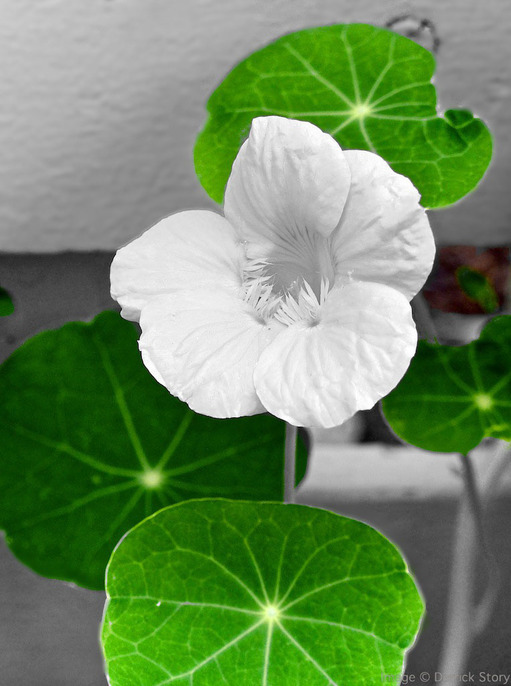 For this shot of a "formerly yellow nasturtium," I applied the Black & White adjustment in Aperture 3.3. Then, in the Black & White Adjustment Brick, I clicked on the gear menu, and selected, "Brush Black & White away." I used an adjustment brush to restore color to the nasturtium leaves. I like the pattern they form around the flower. The first pass took only a few minutes of image editing. If, after time, I decided that I liked the photo, I would go back and spend another 20 minutes or so touching up the details. Typically, I "live with a photo" for a day or two before deciding whether or not to put more work in to it. This technique works well for greeting cards and personal messages. It shows that you put a little extra effort into the image that you're sharing. I love the metadata that cameras write to our digital files... most of the time. But every now and then a camera includes information that I don't want, and have a hard time getting rid of. Case in point: the "Image Description" field automatically populated by Olympus digital cameras. For reasons unknown to me, the Olympus OM-D insists on writing (in upper case no less): OLYMPUS DIGITAL CAMERA in the "Image Description" field of the EXIF data. And it just so happens that this is the field that Google+ reads for the caption information. To make matters worse, Aperture 3 views this information as EXIF data and won't let me edit it away (as illustrated in the screenshot). So if I go straight from Aperture to Google+, I get that ugly all caps description for my photo. Edit the information out in Google+ by clicking on the picture, then clicking on the Edit hyperlink next to the description. Open the image in Photoshop, go to File Info, and edit the metadata. Shoot with a different camera. Why Photoshop lets me edit the "Image Description" field and Aperture does not is a mystery to me. And while we're at it, why Olympus puts that data there in the first place is even more annoying. My hope is that Apple allows me to edit that field in a future version of Aperture, or Olympus stops adding it. In the meantime, thank goodness for Photoshop. It's an extra step, but at least I can edit the metadata before sending the image out into the world.